Danny Huston, Rosemarie DeWitt, Devon Terrell and Odessa Young have joined Johnny Depp’s comedy-drama “Richard Says Goodbye” with principal photography started on location in Vancouver. Variety reported on July 20 that “Before I Fall” star Zoey Deutch had been set to co-star with Depp. Wayne Roberts is directing from his own script. The film follows the story of a world weary college professor — portrayed by Johnn< — who is given a life-changing diagnosis and decides to throw all pretense and conventions to the wind and live his life as boldly and freely as possible with a biting sense of humor, a reckless streak and a touch of madness. Platoon co-stars Johnny Depp, Charlie Sheen and Kevin Dillon reunited on Sunday in honor of the iconic war film’s 30th anniversary. The 1987 film, which also starred Willem Dafoe, Forest Whitaker and Tom Berenger, won four Oscars, including Best Picture. The film was one of Johnny’s first roles, and put Sheen, 51, in the role of a leading man following his memorable cameo performance in Ferris Bueller’s Day Off the year before. In the 30 years since the film was made, all of the co-stars have gone on to lead very full lives. Depp recently opened up to ET about his teenage daughter, Lily Rose Depp. Johnny has again shown how to be an admirable actor and role model and a humane philanthropist at the same time. On his 54th birthday (June 09), he visited a children’s hospital in his Captain Jack Sparrow costume in Haiti. I added several personal images to the photo gallery. I also added pictures of his birthday party that day. Important note: Those images have alredy been spread all over the internet and it is difficult to find the original owners. I do not claim ownership of the pictures and I would really like it if the original owners of the photos would contact me so I can tag (if wanted) their websites, Twitter accounts, Instagram accounts or whatever. You can contact me via e-mail, Twitter, Instagram or by using our contact form. Or if you want any of those removed from our website, I will not hesitate to do so. Just let me know. Thank you! If you have taken any images of Johnny that day and would like me to add the to our photo gallery, feel free to contact me either. I will give credit, of course! 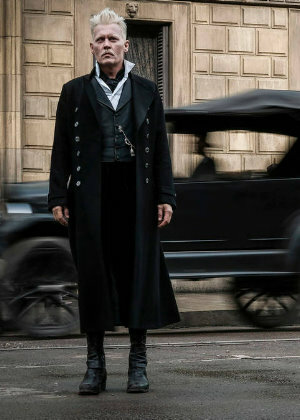 I added new images of Johnny from the set of his upcoming movie “LAbyrinth” to the photo gallery. The pictures were taken on Monday, April 10. On some of the images he is spotted toying with a cam recorder and playing baseball. On the others he’s wearing his uniform and smoking a cigarette. 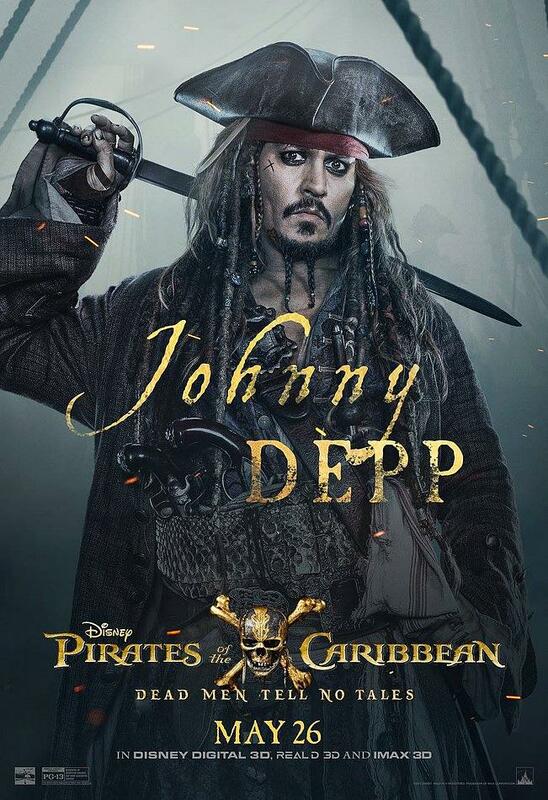 Disney has revealed some brand new character posters for Johnny’s upcoming movie Pirates of the Caribbean: Dead Men Tell No Tales, which will be in theaters May 26. By the way, beginning April 21, guests visiting Disney Parks and Resorts will be able to preview scenes from Disney’s rip-roaring adventure Pirates of the Caribbean: Dead Men Tell No Tales in sneak peeks planned for Disneyland Resort, Walt Disney World Resort, and Disney Cruise Line. At Disney California Adventure Park, the preview of Pirates 5 will be presented in 3D with special in-theater effects at the Sunset Showcase Theater in Hollywood Land, while Guests at Disney’s Hollywood Studios will get to see this advance look at clips from the film as part of the One Man’s Dream attraction. Guests heading out to sea with Disney Cruise Line can enjoy this sneak peek on all four ships. I uploaded one new poster showing Johnny as Captain Jack Sparrow for the upcoming Pirates of the Caribbean: Dead Men Tell No Tales movie. I really hope that you love the latest poster as much as I do. Let me know! Enjoy. Yes, the waiting is over. 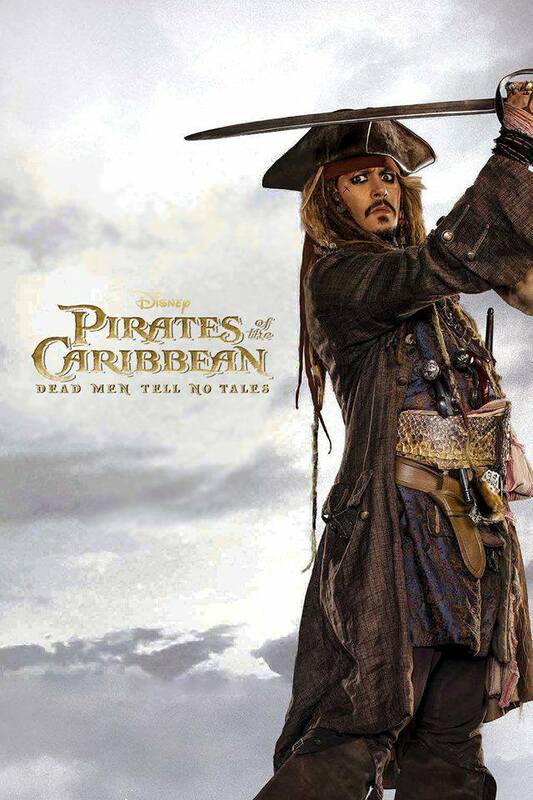 We finally have some new Pirates of the Caribbean: Dead Men Tell No Tales posters showing Johnny as Captain Jack Sparrow again. Check them out! And same here, I’m sorry again for the delay. 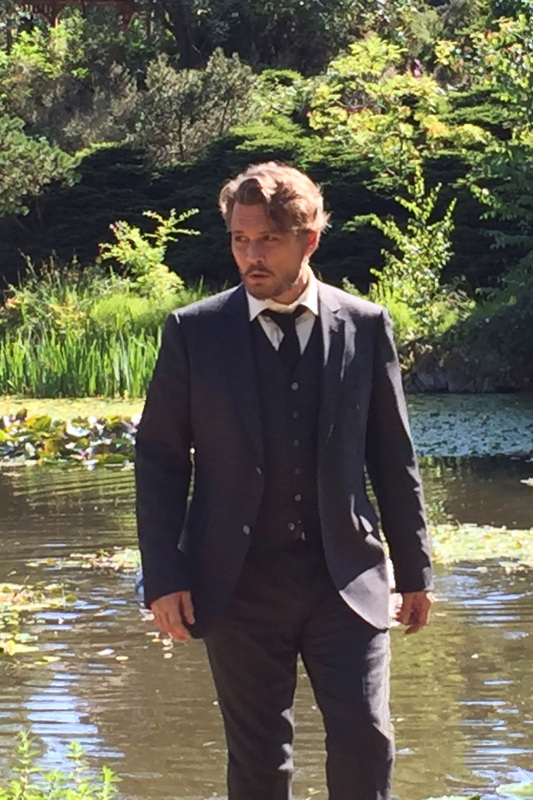 I uploaded the latest on set photos of Johnny’s current movie project “LAbyrinth” to the photo gallery. Enjoy! I’m sorry for the delay, but those of you who’ve already checked out JDorg’s Twitter know that I’ve been extremely sick since Tuesday. I’ve been lying in bed with high fiber for days now. But I finally managed to update our photo gallery by adding pictures of Johnny at the People’s Choice Awards 2017. In the post below you can already watch his emotional speech as the thanks his fans for standing by him and supporting him. I added 52 MQ of the show and 7 MQ backstage images to the gallery. Enjoy!